The Medicines Law & Policy team has published widely on a variety of issues related to access to and innovation on essential medicines, including: international intellectual property policy and its impact on access to medicines, in particular on policies coming out of the World Trade Organization, the World Health Organization, and the World Intellectual Property Organization; options for innovative ways to create incentives for research and development, in particular on medical products for diseases disproportionately affecting developing countries; and on the lessons the access to HIV movement has for the access to medicines crises of the future. Below is a selection of relevant publications by ML&P staff. 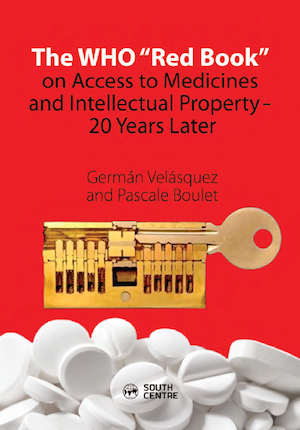 Ellen 't Hoen's 2016 book traces the rise of strict patent regimes, and analysis options to ensure medicines access. 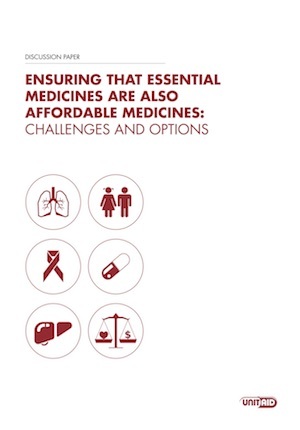 A UNITAID discussion paper on options for ensuring medicines on the WHO's Model List of Essential Medicines are available and affordable. 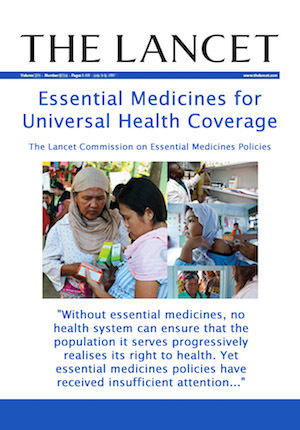 The Lancet Commission Report on Essential Medicines Policies: an expert report on how to ensure universal access to affordable care. The WHO's 1998 landmark report on the impact of TRIPS on access to medicines, republished by the South Centre. An evaluation of use of TRIPS flexibilities and how they can be practically implemented for better health outcomes. 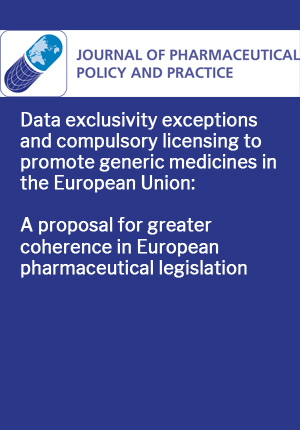 Data exclusivity laws may impede the effective use of CLs; this paper outlines exceptions to facilitate access to medicines. 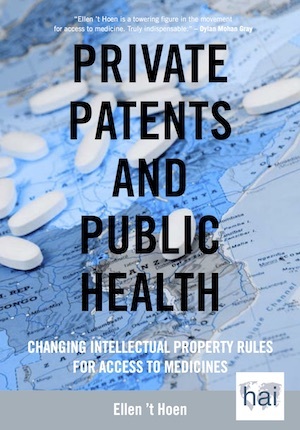 Patent challenges in the procurement and supply of generic new essential medicines and lessons from HIV in the southern African development community (SADC) region: Journal of Pharmaceutical Policy and Practice, November 2018. 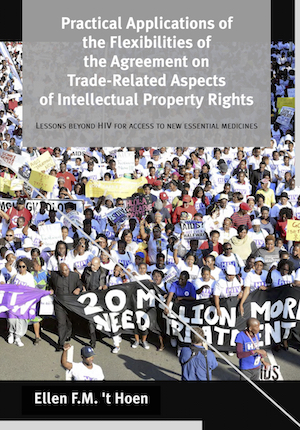 Practical Applications of the Flexibilities of the Agreement on Trade-Related Aspects of Intellectual Property Rights: Lessons beyond HIV for access to new essential medicines: University of Groningen, the Netherlands, 2018.